Shopping for Super Mario Bros. Plush? 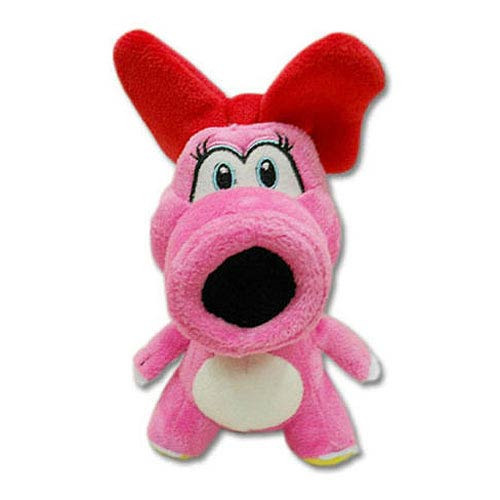 Fantastic plush version of Birdo! One of the Super Mario Bros.' toughest foes in adorable plush form. Get yourself all of the Mario-themed plush from Sanei! One of the toughest and most annoying enemies from the Mario series by Nintendo comes to you as an adorable plush! This Super Mario Bros. Birdo 6-Inch Plush makes for one incredibly adorable and huggably soft companion that you will not want to do without. Measures 6-inches tall. Ages 7 and up.